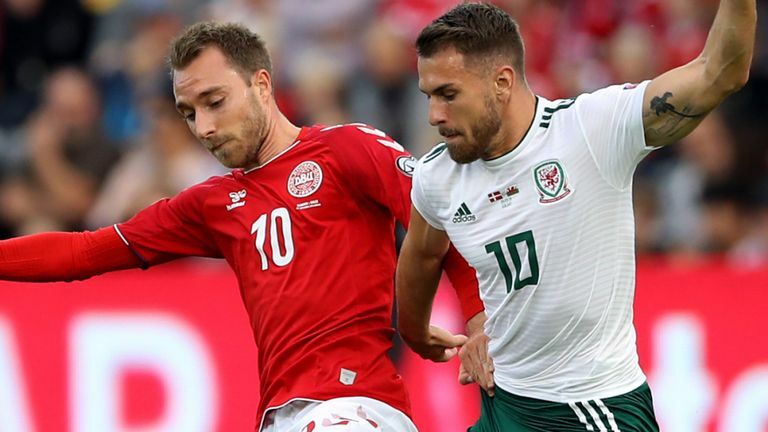 Christian Eriksen's double proved too much for Wales as they suffered a 2-0 defeat by Denmark in the Nations League on Sunday. After a turbulent week for Denmark, whose players went on strike but returned for this game, the Tottenham playmaker fired home a classy opener (32) before scoring from the penalty spot (62) after Ethan Ampadu was adjudged to have handled inside the area. 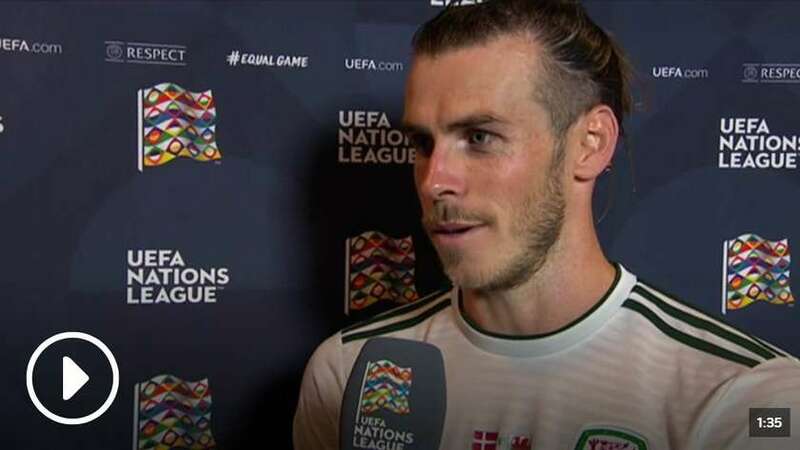 The result was a bit of a reality check for Wales and new boss Ryan Giggs after their impressive 4-1 win over the Republic of Ireland on Thursday in their Nations League opener. The Danes made the last-16 of the World Cup, eventually being knocked out by Croatia on penalties and were superior in every department from the moment Eriksen put them in front. Wales gave him too much space inside the area on 32 minutes and he punished them with a crisp low finish that flew in via the inside of the post. Denmark's midfield duo of Thomas Delaney and Lasse Schone made life difficult for Wales' creative players to let loose, especially Gareth Bale, who struggled. The better chances fell to the hosts with Pione Sisto forcing Wayne Hennessey into a spectacular one-handed save. Ashley Williams missed out with injury in one of two changes made by Ryan Giggs from the win on Thursday. Chris Gunter and James Chester came back in. The second goal was always going to be crucial and despite a bright start to the second period Wales fell behind courtesy of a debatable penalty call. Viktor Fischer's cross hit Chelsea youngster Ampadu on the hand and while it appeared completely unintentional, the referee decided was worthy of awarding a spot-kick. Eriksen stepped up and fired home, taking his tally for Denmark to nine goals in his last 12 games. Eriksen has now been directly involved in 20 goals in his last 18 appearances for Denmark (15 goals, five assists). He was the game-changer here. After an even opening half hour, Eriksen came to the party with a fine piece of individual brilliance that handed his team the lead. From there, they never looked back. Wales: Hennessey (8), Roberts (5), Gunter, (6) Chester (7), Mepham (4), Davies (6), Ampadu (6), Allen (6), Ramsey (6), Lawrence (6), Bale (5). Wales have lost a competitive fixture away from home for the first time since a 0-2 defeat to Bosnia and Herzegovina back in October 2015. Denmark are now unbeaten in each of their last 11 home matches in all competitions (W5 D6) since a 0-1 loss to Montenegro back in October 2016. Denmark have kept seven clean sheets in their last nine home matches, conceding just two goals in that time. Wales have failed to score in three of their last four games in all competitions (W1 D1 L2), as many instances as in their previous 13 such matches. Giggs has lost two of his first five matches in charge (W2 D1), as many defeats as Wales suffered in the previous 12 games prior to his appointment (P12 W4 D6 L2). Wales face Spain in their next international match on October 11 before their Nations League meeting with the Republic of Ireland five days later in Dublin.